Become the next generation of AEDE undergraduate students! Learn more about our award-winning programs. 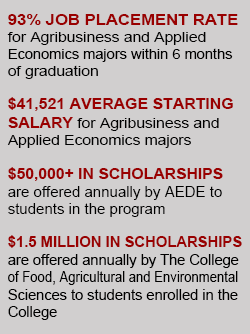 AEDE is housed in the College of Food, Agriculture and Environmental Sciences and has twenty-two world-class faculty members and administers highly respected Bachelor’s, Master’s and PhD programs. The Agribusiness and Applied Economics major integrates business and economic principles needed to manage, market, and finance agribusiness firms in domestic and international markets. 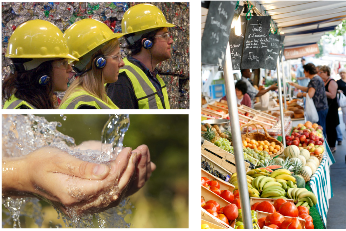 Agribusinesses are firms that produce, process, distribute and sell food, fiber, and other bio-based products derived from agricultural products. Employers actively recruit AEDE students as they know AEDE grads are prepared for the real world since the nationally-ranked program provides a firm foundation in finance, marketing and strategy, and offers insight into modern agribusiness practices and trends. The Environment, Economy, Development and Sustainability (EEDS) major is a multi-disciplinary degree program that focuses on the human, environmental and economic dimensions of sustainability – often referred to as people, planet and profit. This cutting-edge major provides the core knowledge and skills students need to launch a career in sustainability in the private, public or non-profit sectors. 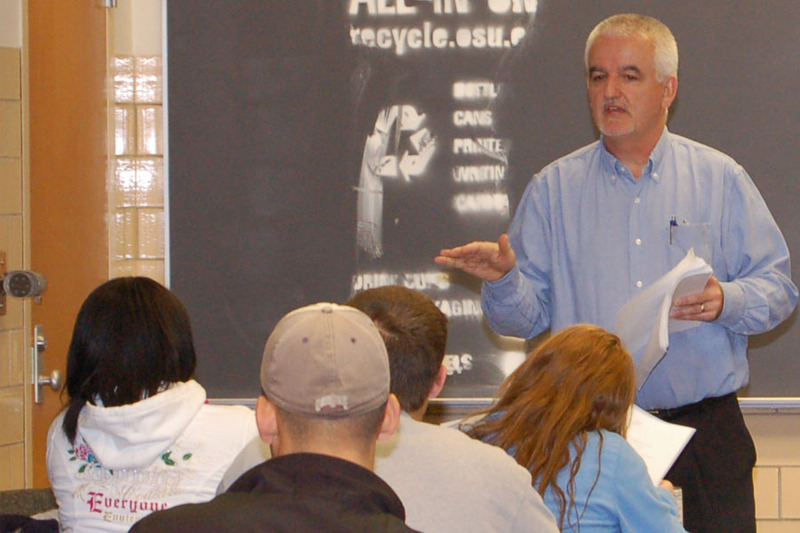 This major is offered in partnership with Ohio State’s School of Environment and Natural Resources.